My niece is four years old now, and after her brother gets on the big yellow bus, she wants to have school, too. 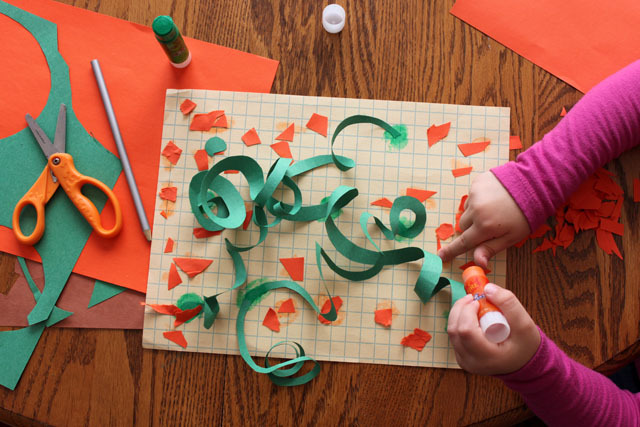 This morning I was at her house and she asked me if we could make a pumpkin craft. 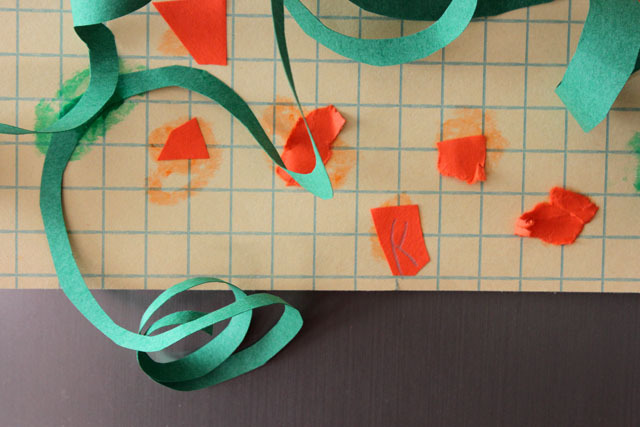 She loves practicing her scissor skills and cuts out all sorts of shapes and colors that inevitably look like confetti! 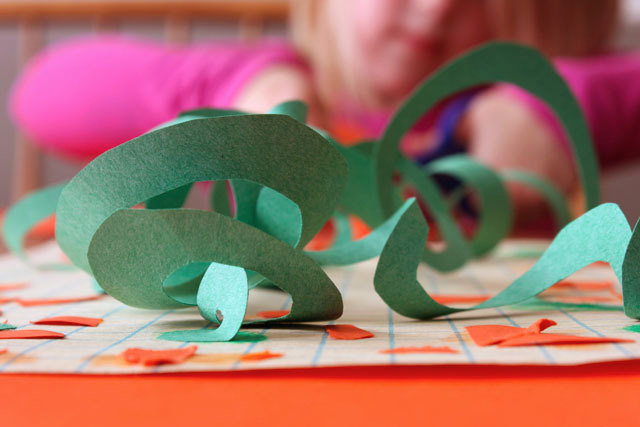 While she made orange construction paper pumpkins, I curled up some green spiral vines. Next, we glued everything down on grid paper. She named each of the little pumpkin pieces as she pasted them down and called it her family picture. Once all of the family was glued down, she said, “let’s play princess castle and read cookbooks together, Aunt Amy.” Twist my arm.